No-one doubts he deserves to be there and we all know he will be there – one day. But changes to the criteria means former world No. 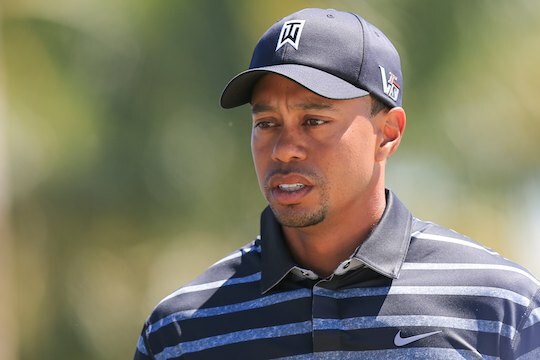 1 Tiger Woods may have to wait a little longer than expected before he is admitted to the World Golf Hall of Fame. Officials last week announced the qualifying age for ‘enshrinement’ had been raised. A statement from the Hall of Fame explained that candidates for inductions must be at least 50 at the start of the year when selections are made, rather than the prior age of 40 – or must have not actively played for five years. That means 14-time major champion Woods, who turned 40 in December, would have been considered this year under the old rules but, provided he keeps playing, must now wait another decade for his chance. “We work very closely with our Hall of Fame Members to ensure all aspects of the induction criteria are shrewd and judicious,” said World Golf Hall of Fame president Jack Peter. Woods has dominated golf for years since winning his first major in 1997. And the great Jack Nicklaus, whose record of 18 major wins is the milestone Woods has chased his whole career, was named as a co-chairman of the Hall of Fame selection committee to replace Arnold Palmer. He joins returning fellow retired stars Gary Player, Annika Sorenstam and Nancy Lopez. The full committee will now meet later this year to consider candidates and determine the Class of 2017 to inducted in May, 2017.